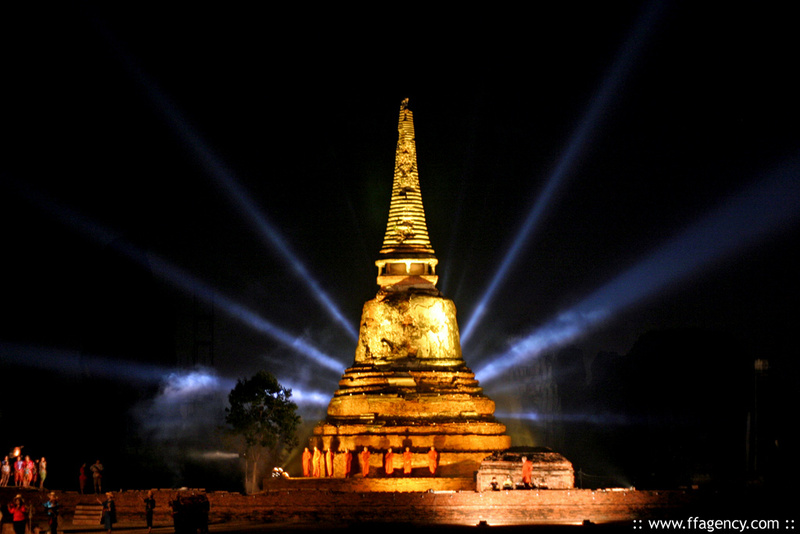 During December, Ayutthaya in Thailand, celebrates the splendor and glory of its past with displays of traditional culture and lifestyles, various entertainments, and a memorable light and sound show - all with the fitting backdrop of Ayutthaya's ancient ruins and temples. The Ayutthaya Historical Park was designated a UNESCO World Heritage Site in 1991. The Park covers much of the old town of present-day Ayutthaya and includes most of the important temple and palace ruins from the Ayutthaya Era (1350 to 1767).